Japanese Company Reinvents Hydroponics with Imec: The Hydro-Membrane - Rosebud Magazine Hydroponics Lifestyle Growing And Entertainment! Dr. Yuichi Mori demonstrates his hydromembrane system of soilless growing. As a country with very few natural resources and little land, Japan is always at the forefront of advancements in green technologies and space-saving techniques. Their newest export, an addition to the world of soilless agriculture, is both green and a space-saver. Invented by scientists at Tokyo-based Mebiol, the hydroponic system called Imec may just change the way the planet deals with agriculture forever. Faced with explosive population growth worldwide, but diminishing potential for traditional soil-based agriculture due to soil degradation, erosion, and drought, Mebiol scientist Dr. Yuichi Mori has invented a completely new and innovative form of soilless agriculture, called Imec. Using “hydromembranes,” which are composed of a film-like substance filled with hydrogel - the incredibly absorbent material commonly used in diapers - Dr. Mori and his staff have created a hydroponic system that requires no growing medium other than the membrane itself and can easily be set-up and reused anywhere, from wood to sand to concrete, or even in space. The hydrogel inside of Imec's hydromembrane contains a mixture of water and nutrients, just like in traditional hydroponic systems. Also like other hydroponic techniques, Imec uses about 80 percent less water than typical soil-based farming. The hydrogel, which Mebiol markets under the brand-name SkyGel, is amazingly absorbent; according to Dr. Mori, one gram of the stuff can hold 100 mL of liquid. Once the hydromembrane has been saturated with a grower's preferred nutrient mixture, which of course can vary from plant-to-plant but always contains certain essential elements, seeds are spread atop the flat surface of the film. When the roots grow, they fill the membrane with a dense network of fine roots, which are non-susceptible to viruses or bacteria and capable of supporting smaller plants. Though this technique is still in its infancy, the implications for the agriculture and hydroponic industries could be enormous. Therein lies the only major drawback of the Imec system. Because plant roots in this method absorb water at a slower rate than in other techniques, and cannot grow to the same size as the root-systems grown in traditional soilless methods, there is a limit to the size your plants can become. Depending on what someone is trying to grow, this could be a deal-breaker, at least until the technology advances. What the plants grown using Imec lack in size, however, they make up for in quality. Because the root-systems in this method absorb and process sugars and amino acids (the building blocks of proteins) in a different way than typical plants, Imec products are sweeter and more nutritious than your average tomato or cucumber. This is perhaps one of the best aspects of the system, but of course is likely limited (as in any method) by the quality, quantity, and balance of your nutrients. 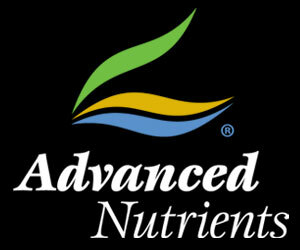 No matter how well it is processed, if the right things don't go into your plants, the ideal result won't come out. Though this technique is still in its infancy, the implications for the agriculture and hydroponic industries could be enormous. This method is infinitely more portable than most commonly used hydroponic systems and, while it cannot produce large plants or trees, many commercial crops can still be grown using Imec. Mebiol scientists have successfully produced tomatoes, lettuce, radishes, cucumbers and even melons, all using hydromembrane technology. In Japan, this technique may be a lifesaver. The recent tsunami devastated many areas of the country, washing away topsoil and contaminating their already-limited arable land. Imec can be used anywhere, from urban gardens to large commercial operations, and may end up feeding a country in distress. It is also currently in-use at the International Space Station, where Japanese astronaut Soichi Naguchi uses Imec to supplement the traditional hydroponic methods that they use. Imec will need to be adapted and advanced if it is to be used as a wide-scale agricultural option, but even now it is a pretty cool technology. The ability to grow crops anywhere is one of the main advantages of any hydroponic garden, and Mebiol's Imec hydromembrane technology takes that mobility even further. Time will only tell if Imec will be the agricultural system of the future. Interested in the future of sustainable food production? 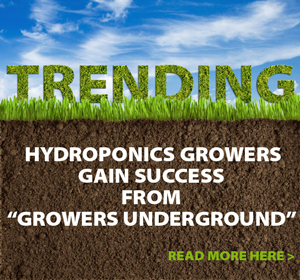 Discover the hydroponics connection here. 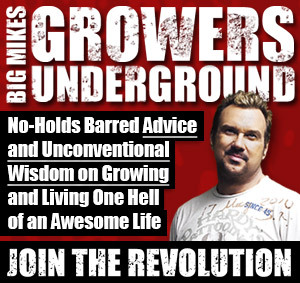 What’s the difference between hydroponics growing systems? Find out here. Want a green luxury sportscar? Check out what Leonardo DiCaprio is driving. The full video of Dr Mori’s presentation of his new hydroponics system.